Kailpodh is a harvest festival celebrated by Kodavas that indicates an end to the sowing season of the year. This festival is celebrated on the third of September every year. After kodavas have completed their hard work in ploughing, sowing and transplanting rice, this is the time for them to feast and protect their crops from the wilds. 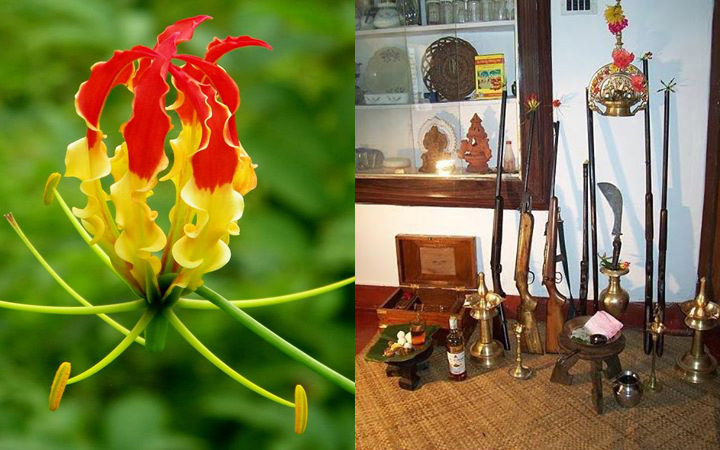 It is believed that earlier, Kodavas were highly dependent on guns for livelihood. Since then, arms have been an integral part of their lives. They use guns and other weapons to protect their crops from the wild. On this day, these arms and weapons are offered pooja. Kodavas decorate their weapons and show their love and respect by devoting them. The youngsters begin the day with touching the feet of the elders. Women, in the kitchen, prepare all the traditional rice dishes and Kodava cuisine. Various cultural events, folk dances and sports are also organized to celebrate this day. This is the second and last name in the list of harvest festivals. It is celebrated in December (after 90 days of celebrating Onam) with great festive feels. 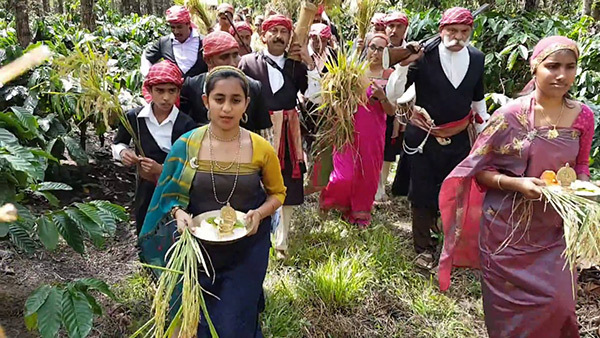 Earlier, people of Coorg used to celebrate Puttari for a whole week. Now, the priest of Ammangeri village decides a day and time to celebrate the festival. The auspicious time is selected according to the appearance of the full moon. The houses are cleaned and whitewashed before Puthari. 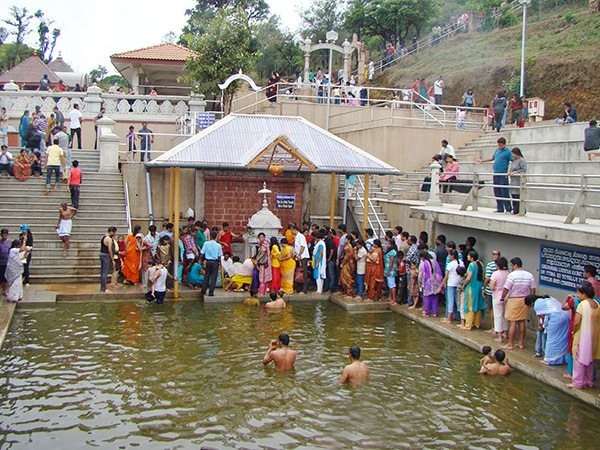 People gather at the temple of Padi Igguthappa to celebrate it prominently. The festival is made special with Thambutt, the special dessert made from mashed bananas and rice flour. After celebrating for the whole day, family members gather in their farmhouse to complete 'tying leaf' ceremony. They tie leaves of certain leaves together and place it on a mat. Then, in the moonlight and a lamplight, they move to their fields to complete 'cutting of paddy sheaves' ceremony. The head of the family cuts odd number of paddy sheaves and gives them to other members. They pray to God for their prosperity and burst crackers to continue the celebration. This is a traditional tribute to River Kaveri and celebrates the birth of the same. River Kaveri originates from Talakaveri, Kodagu. According to the tithi calendar, priests claim mid-October to be a very precise time. So, the birth of the river is celebrated at that time. The day starts with women getting ready after taking bath before the sun rises. Then she prepares a platter and decorates it beautifully. The platter if full of rice and contains three betel leaves, three betel nuts, a small lamp and a coconut wrapped in a red silk scarf. They also keep some glass bangles on the rice. Then they keep this platter towards the East and call it Thaliakki Bolcha. The celebration starts when the lamp is lit. Every member of the family gathers and sprinkle rice on the red silk wrapped coconut. The breakfast includes dosa and traditional kheer. The best part of the festival is that the Kodavas give rest to all their meat-dishes and turn pure vegan on this day. The older woman of the house draws water from the well to mark the end to the celebration. If you plan to join in the festive celebrations and are looking for a comfortable Coorg resort to stay in, look no further than Sixth Element resorts. We respect the sacred festivals and the prominent spirit of the Kodavas and we ensure you come really close to the traditions of the destination. You can take your holiday trip to another level and make it a joyous and memorable one by staying here during these festive seasons. We not only respect Mother Earth from our hearts but also do as much as we can to show our love and gratitude towards nature. With you, Sixth Element celebrates what nature has given us!